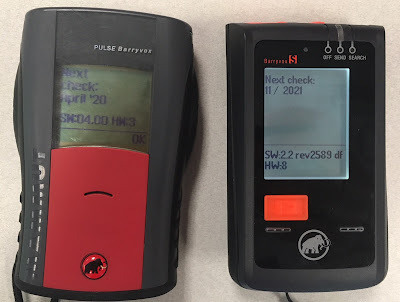 For several years, I had been using the Barryvox Pulse. I carried that beacon in the field for over 175 days and I used it for literally days of practicing single and multiple burial rescue scenarios. I was impressed all around. 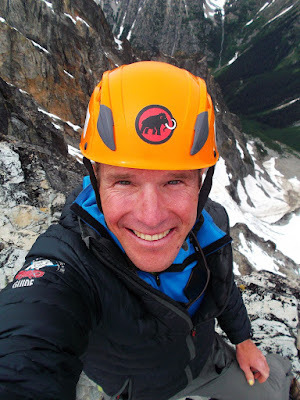 When I heard that the Barryvox S was coming out, I looked forward to updating my beacon set-up and seeing what improvements Mammut had lined up. It is the simple things that keep us alive and allow us to thrive--and the simple beacon check before headed out in the backcountry is no different. partner is sending a signal. If you are testing multiple partners at once, they should all spread out 3m apart and walk past you, and you should see a low number on your screen with each pass.Is this good enough? Not exactly. With its Barryvox PC-fleet management Software, Mammut offers a complete avalanche equipment program to support the professional use of Barryvox avalanche transceivers. read more about the fleet management HERE (link). This PC-Software provides organizations and retailers with efficient fleet management as a tool to provide better risk management and a higher level of customer service. For more information please contact Mammut Customer Service at 800-451-5127 or info@Mammutusa.com . Barryvox Service Tools are available in Fall of 2018. The W-link Stick 2.0 will be available beginning in September, and the Tester 2.0 beginning later in the fall. 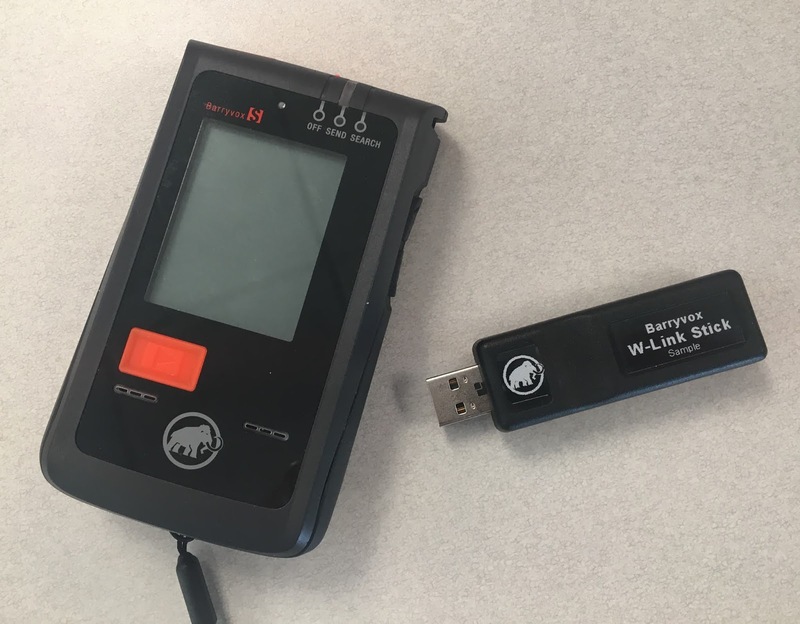 · W-Link Stick 2.0 is a handy USB adapter allowing organizations and retailers to conduct efficient fleet management as part of a risk management protocol especially for rental transceivers or for frequent firmware upgrades. In a world of soundbites that rarely get beneath the surface, we certainly appreciate the media outlets who put the extra effort in to spend real time with product and get to know them. For many people Outdoor Gear Lab has become one of a few go-to websites for in-depth product reviews, so we're super psyched to hear they really liked the Barryvox S Beacon, awarding it their "Editors Choice" for best overall avalanche beacon. Thanks! You can read their full, in-depth review HERE (link). 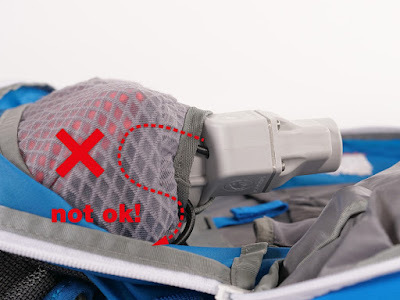 Mammut has issued a notice to users of the 3.0 airbag system to check that the installation of the airbag in the backpack is correct. The 3.0 system has a NEON ORANGE trigger handle and balloon. The older 2.0 and 1.0 airbag systems (RED trigger handle and balloon) are not affected. In some cases, incorrect installation of the airbag system in the pack may have caused significant bending of the deployment cable. This could have a negative effect on the functioning of the avalanche airbag after repeated deployment. If you identify the installation problem described in the instructions, please rectify it immediately in accordance with the following instructions (link). *Note that the black plastic cable covering is cosmetic only, and it's normal for it to exhibit some cracking or peeling--this has no effect on the function of the airbag and is not a problem.